The Ladder Filter is an essential element of the massive, thick sound for which Moog synthesizers are renowned. VCF 2is based on Bob Moogs famous design and provides great sounding -12dB lowpass filtering which has become the standard of subtractive analogue synthesis. The cutoff frequency can be controlled manually and by control voltages from an envelope generator, oscillator, keyboard, etc. Resonance (Q) of the filter can be adjusted with the front panel control. 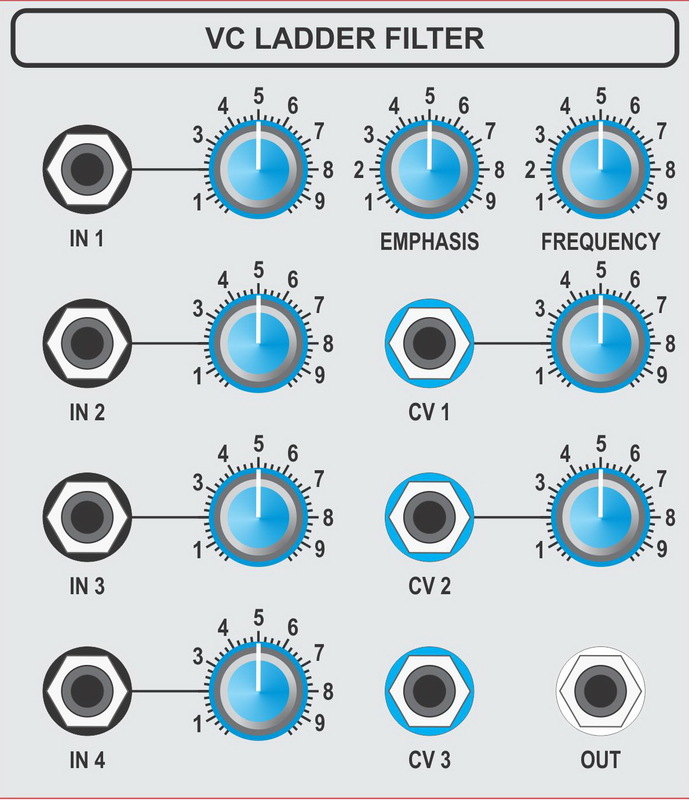 The filter will self-oscillate and track a 1V/Octave keyboard control voltage. VCF 2 incorporates a 4-channel audio mixer for incoming audio signals and a 4-channel CV mixer for the control signals.